Legislation which will be published on Tuesday would see responsibility for online content shifted back on to tech giants rather that the person who posts the content. Social media companies could face the prospect of unlimited fines if they fail to remove posts which risk prejudicing criminal trials. 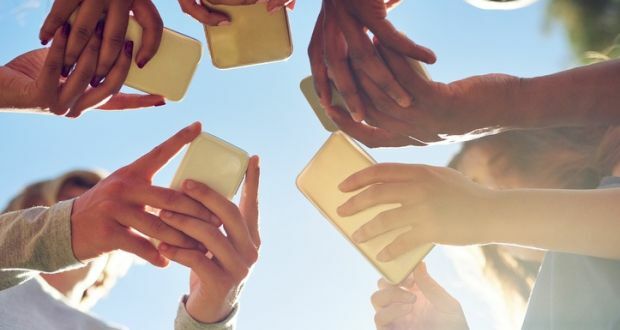 Legislation which will be published on Tuesday would see responsibility for online content shifted back on to tech giants such as Facebook, Twitter and Google rather that the person who posts the content. Both the Supreme Court and the Law Reform Commission have previously called for contempt of court to be defined in legislation, as it is in other countries such as the UK. The new bill has been written by Fine Gael TD Josepha Madigan, with the aim to provide clarity to judges who are struggling to deal with contempt of court issues. Under the proposals going before the Dáil on Tuesday, the court would be able to force companies to remove or prevent the publication of prejudicial content. Under the new legislation it would be left to trial judges to decide the level of fine imposed if a company fails to comply. The use of social media has been in the spotlight since the Jobstown case earlier this year. During the trial anti-water charge protestors campaigned online in support of those on trial for the alleged false imprisonment of former Tánaiste Joan Burton. Six people were cleared of the allegation. Earlier this year, then chief justice Susan Denham said that procedures were needed so contempt of court laws can be used against those who disrupt court proceedings with social media. Ms Madigan, who is also a solicitor, has said she is concerned social media was not being treated in the same manner as traditional media. Speaking to The Irish Times, Ms Madigan said that there is a need for clarification on the issue. “Specifically in relation to social media companies, I don’t know what their view will be on this. They will have a defence. The suppression and take-down orders that I have provided for in the Contempt of Court Bill 2017 is to support the contempt of court and to support basically, the court. “Ultimately it’s an attempt to protect the integrity of the judicial process. They will have a defence in the sense that if the court orders a social media company to take down a certain hash tag, if they show that they have taken all reasonable attempts to do that, then that is a defence in itself,” said Ms Madigan. The Fine Gael TD noted there would be a “huge amount” of discretion to the court in terms of how they deal with the new proposals in terms of how they deal with the various social media platforms. “There are trials that can happen where people can try and prejudice the outcome of the trial. I think the same rules should apply to social media as they do in the main stream media,” she added. The bill would give judges the power to direct that material which risks prejudicing court proceedings be removed from websites. They would also be able to order that the website’s operator take steps that the court deems reasonably necessary to prevent the publication of some posts. The penalty for individuals found to be in contempt of court after they made posts on social media is imprisonment or a fine. Twitter and Google declined to comment on the matter when contacted by this newspaper on Monday.